A group of SAU students stop by to personally thank our donors. (Right) Mackenzie Hamilton shares her appreciation to SAU donors. Southern Arkansas University hosted Thank-A-Donor Day in conjunction with National Philanthropy Day on November 11, 2014. 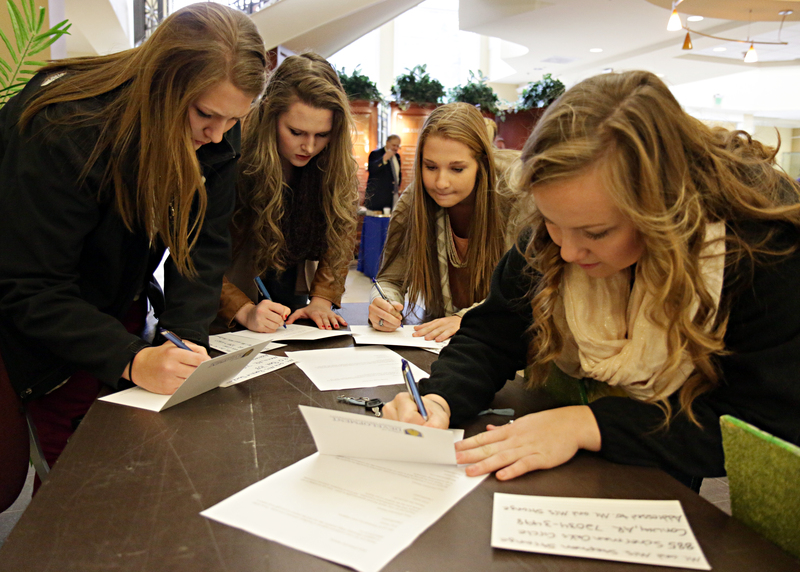 During Thank-A-Donor Day, SAU students wrote personal notes to alumni and friends who have financially invested in the University. Students completed more 300 cards to donors during the day. This event was also used to educate current students on how private philanthropy impacts their lives while on campus.